I’m so happy so be showcased on Wingnut Social: The Marketing Podcast for Interior Designers, where we discussed Facebook Collaborations to Grow Your Design Business. Listen in! 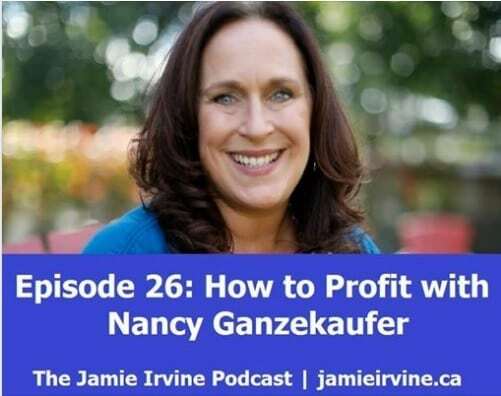 In this episode, Nancy talks about owning every choice in your business is not for the faint of heart. Each Monday, join Michele Williams, strategic profitability coach for the interior design industry as she interviews guests who are taking control of their business one decision at a time to increase their profits. If you are an entrepreneur who wants to make money while working in your passion, this is the podcast for you. In this episode,Nancy’s Lemons story was based on her content creation strategy. She batch creates content, and unfortunately had a piece of content go out at a time that her clients and prospects found offensive. She told the story of waking up to angry client emails and unsubscribes. She talked about how she tried to reach out and smooth over the miscommunication – but that she eventually realized that there was only so much she could do. 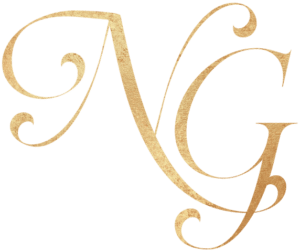 In this episode, of The Kate Show, Nancy will discuss a powerful that many interior designers are missing out on. That powerful tool is the use of a business coach. 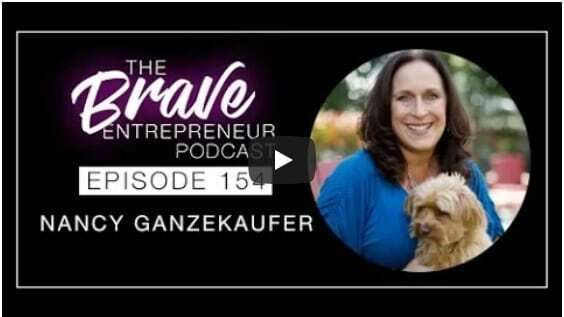 She reveals from her own experience, how a business coach took her business to over 6 figures a year. Wouldn’t you like the same or more? Listen to this podcast now! 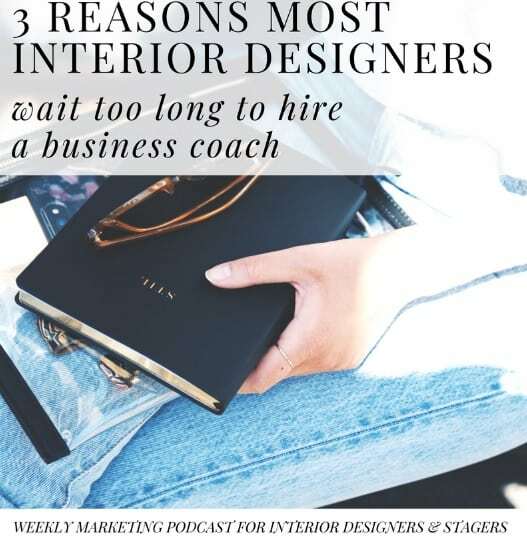 In this episode, Nancy also discusses the growth within the Interior Design industry, and where people are finding success within it. Amazing insight. Not only that, there are 6 other facets of her discussion that are powerful and instructional for moving forward in business. 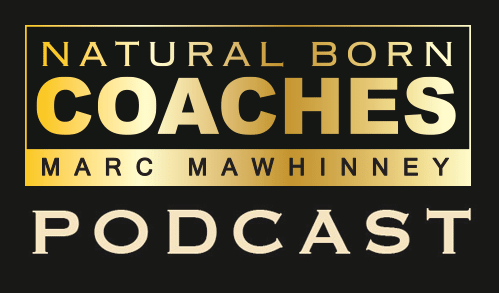 Who knows, maybe many of your questions will be answered in this podcast! Feel free to take a listen, now! In this episode, Nancy shares her story of how she went from running a “home art parties” company, then to a framing and accessories business, to reinventing herself as a business coach where she partners with clients such as interior designers, artists, web designers and coaches to get all the pieces in places to have a profitable company. If you are struggling to reinvent yourself this is the podcast for you! In this episode, you don’t want to miss the seven principles keys to help you level up your business and go higher! When creating your professional title – use something that people at least have a basis of knowledge for. When it comes to marketing, niche is rich and broad is broke. Know your value. Own your value. Say yes and keep going. One of the biggest mistakes people make in sales is that they talk too much. Ask a question and really listen to what they have to say. Don’t institute policies and strategies in your business that you wouldn’t like if you were the customer or prospect. Entrepreneurs often either have too many services to offer, or too few. In most cases, Nancy recommends offering 3 levels of service. systematic steps to ensure ongoing profitability? Tune in now! In this episode of “Turning Lemons Into Lemonade” podcast show with host Amy Mewborn. Nancy fills you in on what all new business owners desperately needs to know, NOW! 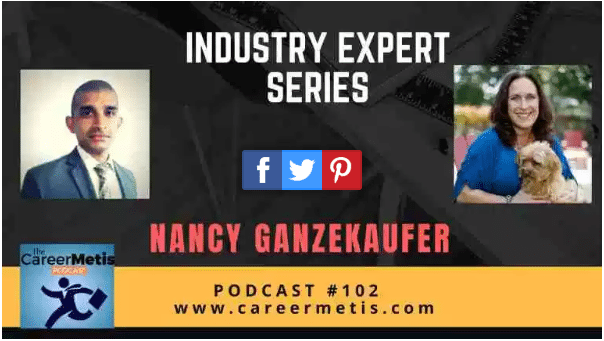 “I had never met Nancy prior to our recording today, but this conversation was SOOOOOO full of amazing business nuggets. Would you like to know the truth about “passion”? Listen to Nancy Ganzefauker on Shmuel Septimus podcast, discuss why “passion” is a journey, rather than a destination. 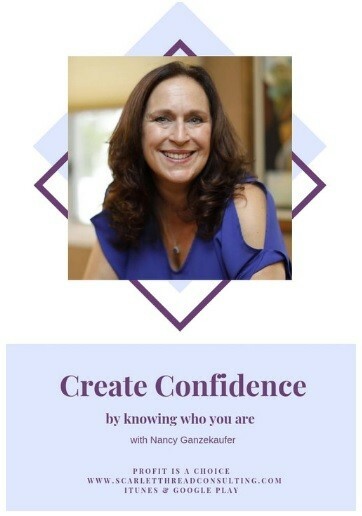 Learn the secrets of ever evolving passions in your life; how to leverage that in your business to boost momentum and effectiveness. In this episode, Nancy details the secrets to WHY the “Summit Model” may not be effective in building your coaching business. Find out how the “Anti-Summit” method is a much better option for moving forward in your coaching business. 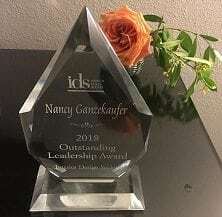 The Interior Design Society awarded Nancy the Outstanding Leadership Award in 2018. 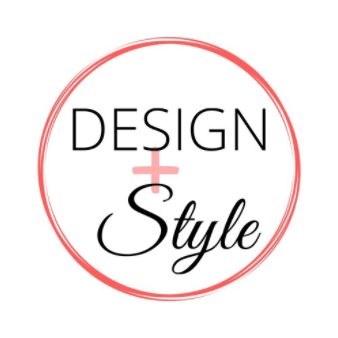 In this episode of the Design + Style podcast, Nancy shares about narrowing down who you are, what you do, and how you help into a concise, memorable description that will keep you in your potential clients’ minds. 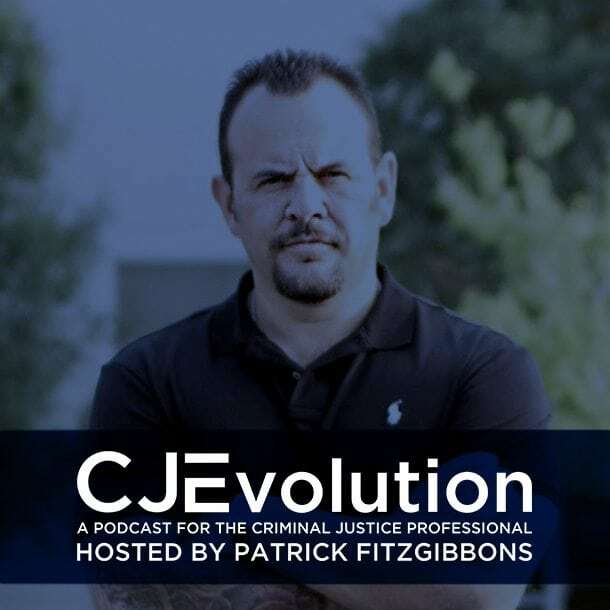 In this episode of the Criminal Justice Evolution podcast, Nancy shares about building the life and business you’ve always wanted, the unique challenges entrepreneurs face when pursuing their dreams of growing a business, and more. 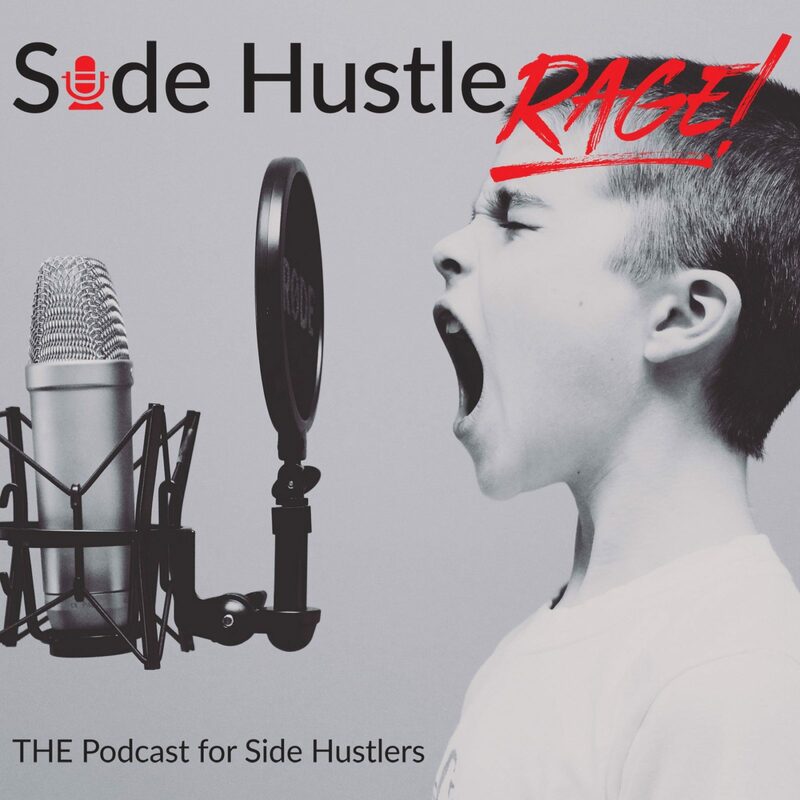 In this episode of the Side Hustle Rage podcast, Nancy shares how to effectively attract your ideal client in every day life and on social media by being you, how to learn to lead your own life, and more. In this episode of the Go For It! 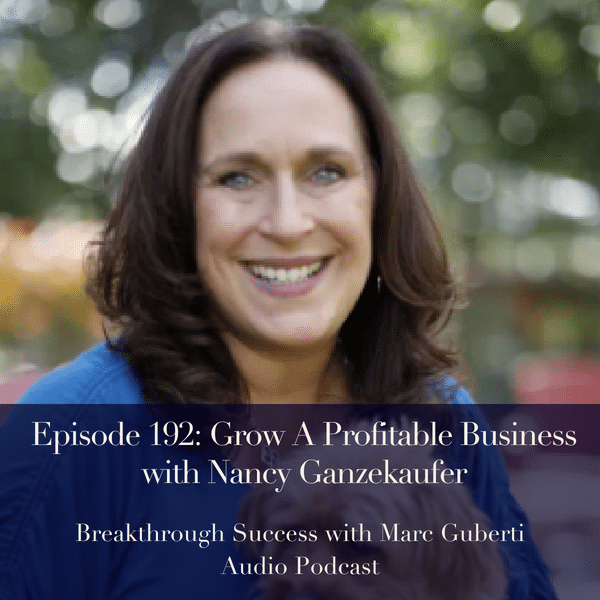 podcast, Nancy shares about getting more sales, growing your business, and getting over the fear. 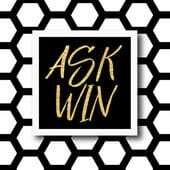 In this episode of the Ask Win podcast, Nancy shares about her business journey. 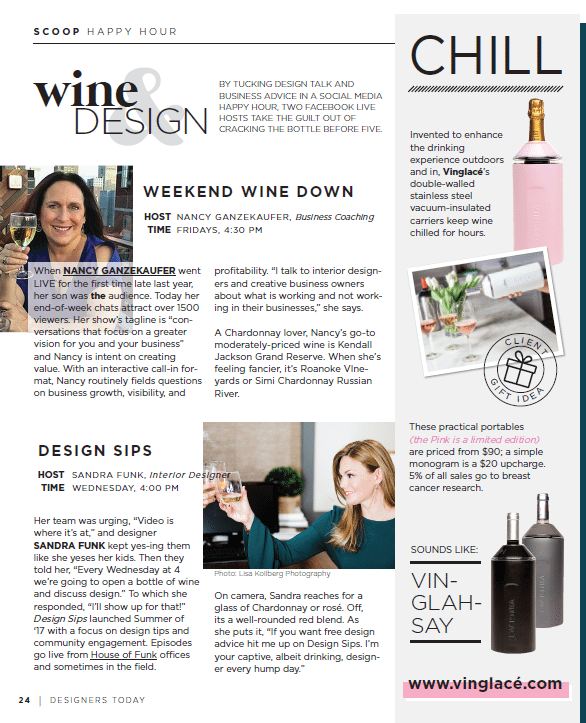 Click here to read Nancy’s feature in the spring 2018 issue of Designers Today. 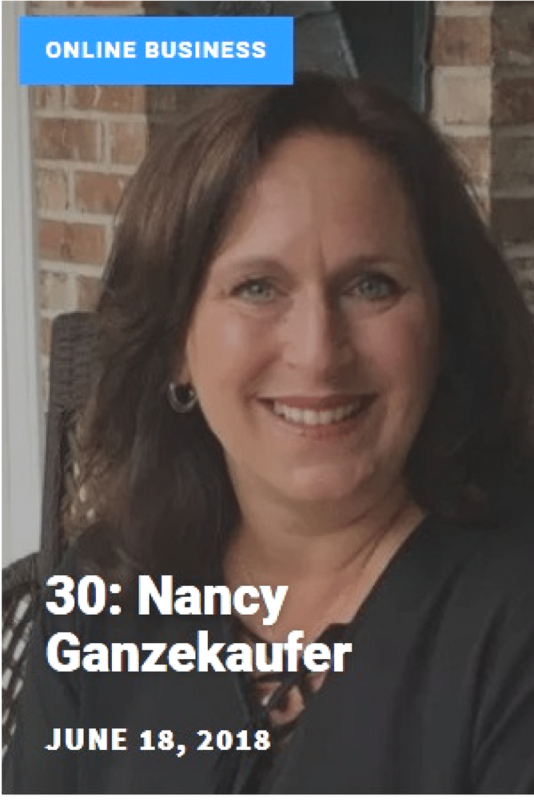 In this episode of A Well-Designed Business®, Nancy shares a fantastic, non-salesy way of having people really want to work with you. 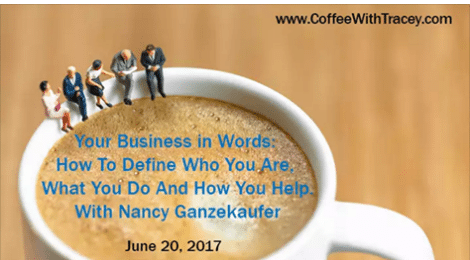 In this episode of Coffee with Tracey, Nancy shares how to create a powerful and impactful marketing message to draw in your ideal client and have them drooling for more information. 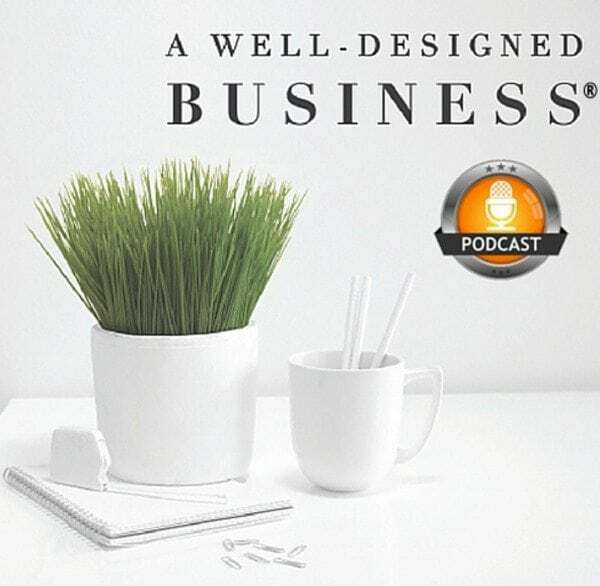 In this episode of A Well-Designed Business®, Nancy shares on how she uses surveys, creating plans and strategies, time management, and more. 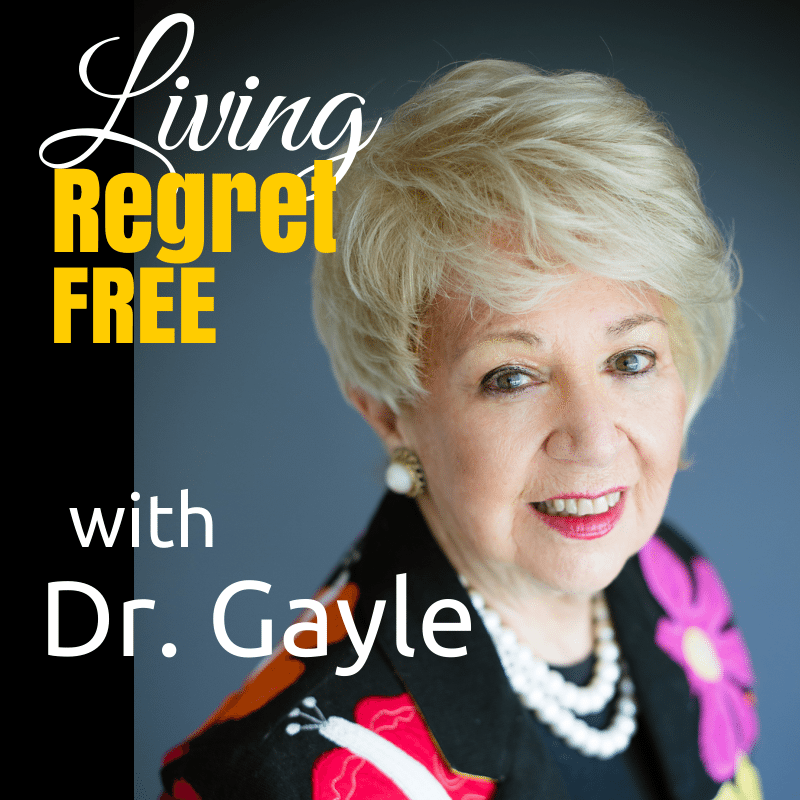 In this episode of Living Regret Free with Dr. Gayle, Nancy shares three tips for women on they can move themselves toward success, the one action women can take to make them better leaders in their own lives, and more. 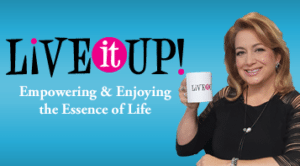 On this episode of Live It Up with Donna Drake, Nancy shares on how she built a business while raising her children, her new coaching business, and more. 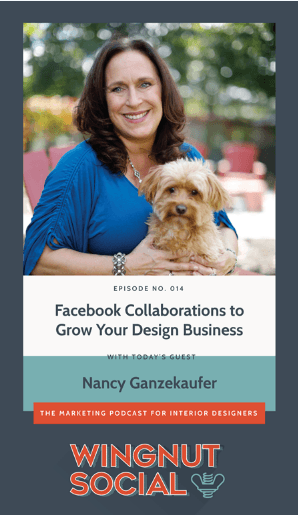 In this episode of A Well-Designed Business®, Nancy shares on building relationships, “niche is rich”, and more.